Spring Sale $60 Gift Certificate for only $35.99! 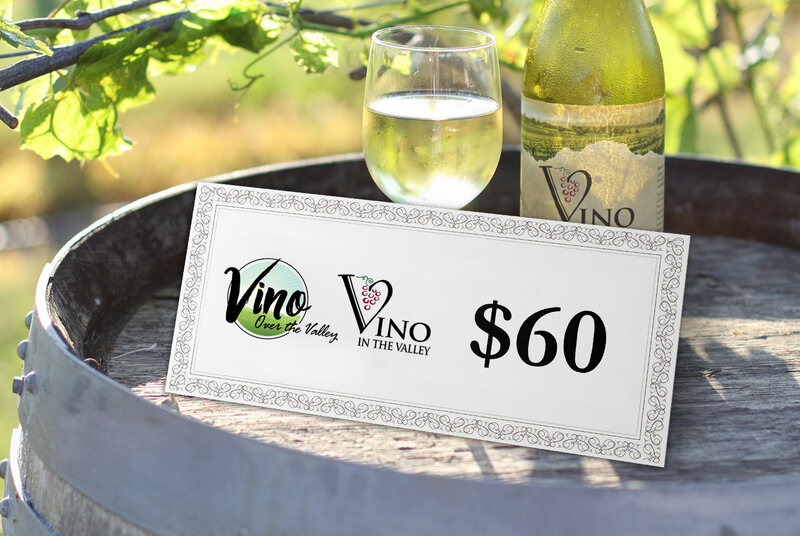 Purchase this $60 gift certificate deal and use at either one of our locations. Vino Over the Valley or Vino in the Valley. Gift Certificates are valid from May 2, 2019 – October 27, 2019. Our locations are a unique, outdoor dining experience designed to stimulate all your senses. 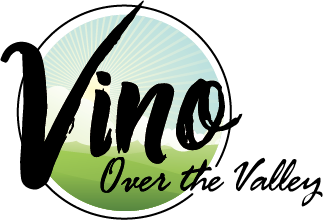 Every Thursday, Friday and Saturday night, as well as Sunday afternoons, May through September (with additional weekends in October), enjoy a glass of wine and a pasta dinner among gorgeous view in an outdoor setting. Limit 1 per table per visit • Reservations required for parties of 10 or more people and are subject to availability • Merchant cancellation re-scheduling policy of 24 hours applies; voucher subject to forfeiture • EXCLUDES Mother’s Day and July 4th, 2019 • Must be 21+ with valid ID to consume alcohol • Cannot be combined with any other offer or promotion • Tax and gratuity are not included • Merchant is responsible for the quality of the products or services provided to you at redemption • PAID VALUE ($35) DOES NOT EXPIRE • PROMOTIONAL VALUE ($25) EXPIRES October 27, 2019.